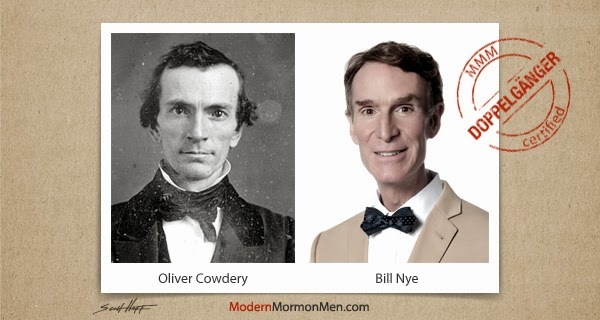 See all Mormon Doppelgängers here. Bill Nye got his start in the entertainment industry after winning a Steve Martin look-alike contest. 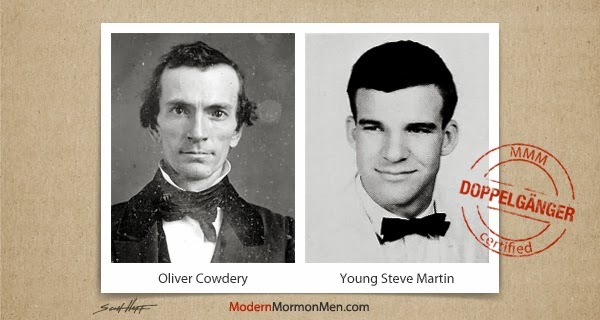 Therefore, according to the law of doppelgängership, it should follow that Oliver Cowdery and Steve Martin resemble one another as well.